Ontario, Calif. (June 27, 2017) - Commercial real estate veteran, Dean Krieger, has joined Kidder Mathews’ Inland Empire office as a senior vice president where he will specialize in tenant representation, with an emphasis on industrial users, throughout the Inland Empire and Orange County. 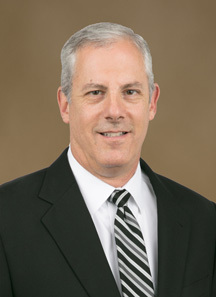 Krieger has been in the commercial real estate business for over 30 years. During his career, he has leased and sold more than 8.9 million square feet of industrial and office properties exceeding $980 million in transaction value, and he has sold over 260 acres of land to both owner/users and developers. His notable clients include Sub-Zero, Husqvarna, and Test Rite Products. Prior to joining Kidder Mathews, Krieger was with Cresa Corporate Real Estate and before that he was a partner for seventeen years with Lee & Associates in their Irvine, California and Reno, Nevada offices. Kidder Mathews is the largest independently owned commercial real estate firm on the West Coast, with nearly 700 real estate professionals and staff in 20 offices in Washington, Oregon, California, Nevada, and Arizona. Kidder Mathews offers a complete range of brokerage, appraisal, property management, consulting, project & construction management, and debt & equity finance services for all property types. The firm performs $5.6 billion in transactions, manages over 46 million square feet of space, and conducts 1,300 appraisals annually. For more information, visit kiddermathews.com.